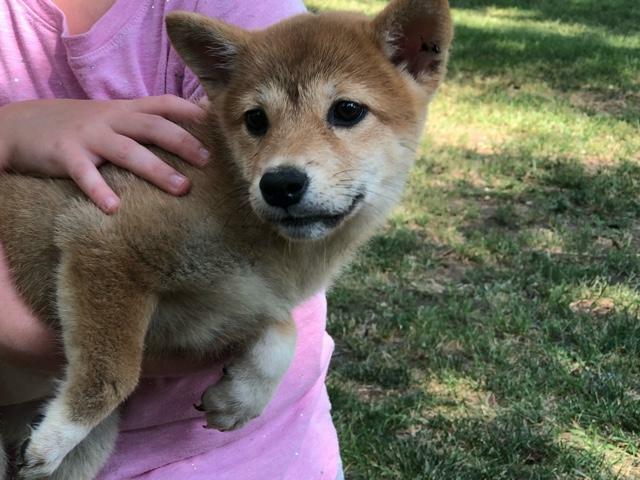 Beautiful female shiba puppy ready for its forever home! All shots and worming up to date, spayed, one year health guarantee, and a welcome home puppy bag which includes bowl, collar, leash, toy, small bag of starter feed, and puppy pads to help get you ready! Text or call me at 785-243-5381 for more information.